Kuala Lumpur is surely a city of dynamic cultures with enough to keep you excited, but what to do when you have seen everything? Cut short the trip? Absolutely not! Rather extend it and explore places off the beaten track. Ideal for times when you feel exhausted with the city life and want to take a break, these short getaways from KL will inject the thrill back. So, go and take a break! If you are a lover of nature then this is the place for you. Surrounded by rainforests and tall trees and wildlife. Fraser’s hill resort is a paradise made in between the greenery which literally makes you feel rejuvenated. It is located in the Pahang Village and has the colonial cottages inside the jungle. The beauty of this hilltop resort can’t be explained in one or two words. There is a small story about how this place was discovered. It was back then in the 1890s when a Scottish prospector named Louis James Fraser, opened a tin mine but suddenly got disappeared in 1915. So in 1917, A bishop from Singapore discovered this place while on a hunt of a man and advised to build it in a Hill station, then by the help of the authorities it was built. Activities and attractions: Best place for Hiking, as it has hiking trails and the most suitable places are Abu Suradi Trail, Bishop Trail and Mager Trail. Apart from that, you do Golfing and Birdwatching as it is surrounded by jungle, so there is a place where you will find different kinds of birds. Other than you can experience the colonial history and the amazing wildlife. Food: You will find amazing restaurants, the beautiful hilltop one will be your favourite, as it will give a cold and soothing breeze and awesome atmosphere. Don’t forget to have lunch & tea at Ye Old Smokehouse as it has a beautiful lush green garden. Reach: You can take either taxi or bus to reach this beautiful place, it will take 2 hours 42 mins to reach your natural destination. This beautiful place became famous when the tin was found in the two rivers Repas and Perting. An old story tells Bentong was first named as Carlo Sas, the name was changed from Papi to Bentong before World War I. In the previous time the market area of the Bentong used to be the centre point, at the meeting point of the Chongki rivers, Repas and Perting. It has a number of naturalistic spots which you can explore easily. Activities and attractions: You can visit the Colmar Tropical French Themed Resort and enjoy the architectural building which was built in the 16th century. You can visit the Chamang waterfall in Bukit Tinggi Forest Reserve. Food: Eat durian’s at Jimmy Durian Orchard. You can have your food at the affordable restaurant, that is SHL restaurant and taste the homemade ice cream ais kacang at Kow Po. And most amazing thing is that you can take homemade kaya and pineapple puffs from the Mokie Home-Baked Pastry. Reach: You can easily reach this amazing place by taxi in just 1 hour 12 mins. As this place is full of residential and government buildings but it has its own beauty apart from these normal buildings. Activities and attractions: Just take a cruise for 25 minutes to 2 hour to view the actual beauty of this place. There are several iconic landmarks such as Perdana Putri( Prime Minister’s office); Putra Mosque and Putra Bridge. You can visit the most beautiful Putrajaya botanical garden with lush greenery. The architectural beauty of Moroccan Pavilion and you can walk around the Saujana Hijau park. Food: You can enjoy the local delicacies of Putrajaya Farmer’s market that opens on Tuesdays and Fridays. Reach: You can reach this place in just 50 mins, you just have to take a taxi to reach the cruise then, experience the beauty of the place. 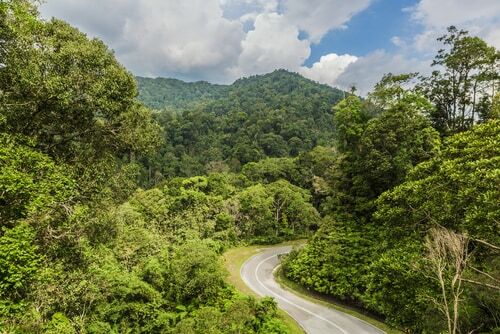 Connected by major land and river routes, Taman Negara is Malaysia’s largest national park with a mountain range that includes the highest summit Gunung Tahan (2,187m). This 130 million-year-old rainforest allows enough activities for a trip of 3 to 4 days. 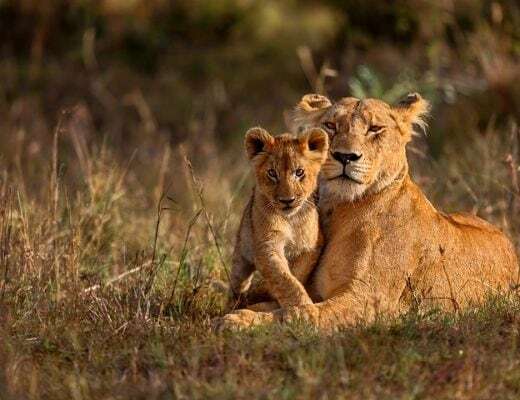 But if you don’t have so long to spend, take the Night Safari without a second thought. 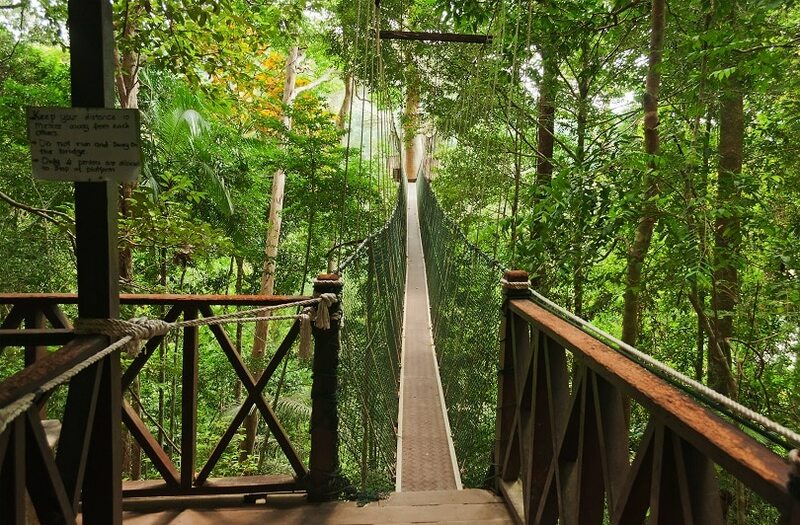 The main attraction here is the canopy walk through the rainforest. It is the longest walk in the world. You will start the walk from a height of 5 meters that gradually goes up to 50 meters. From here, you can enjoy the view of the forest from the top amidst the company of birds and monkeys. A small fee is charged for the walk. There are many other activities to do in Taman Negara which makes it a complete adventure. Activities and attractions: Canopy walk, Night safari, Animal spotting, Trekking, River rafting, Camping, Fishing, River tubing, Motorboating, National Park, Kelah Sanctuary, Gunung Tahan, Lubok Simpon and Bukit Teresek. Food: There are not many places to eat at Taman Negara but there are enough dishes for you to try. There are many floating restaurants in the river that offer local cuisine with freshwater fish and prawns as major features. Reach: Take a bus or a night train from Kuala Lumpur and reach Jerantut. From there take a taxi ride to Kuala Tembeling, get down and take a boat ride of 2-3 hours to Kuala Tahan. There is much more to Kuala Selangor than just monkeys and fireflies. The town has many historic attractions for visitors. From ancient burial grounds to forts and shrines, this place is steeped in heritage. 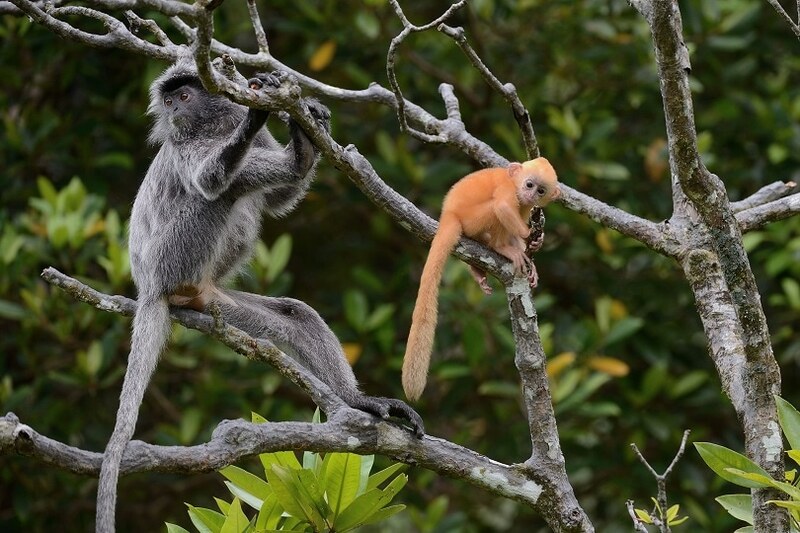 Of course, the common sight of silvered leaf monkeys cannot be ignored especially with their infants hanging on their backs. A firefly tour at night is a must! Activities and attractions: Tanjong Keramat Fort built by Sultan Ibrahim is a great historic site. The Virgin’s grave or Makam Keramat Anak Dara (as called by the locals) is a shrine built in the memory of a young girl who disappeared before her marriage ceremony. Also, there are war memorials and mausoleums that date back to the time of kings. Food: Kuala Selangor offers a wide variety of seafood. Almost every restaurant offers fresh seafood dishes. Some must-try dishes are seafood pot, bamboo clams, juicy roasted chicken, oysters, clams and grilled prawns. They also have numerous Chinese restaurants if you wish to try. Reach: Kuala Selangor is a 1-hour drive from Kuala Lumpur. 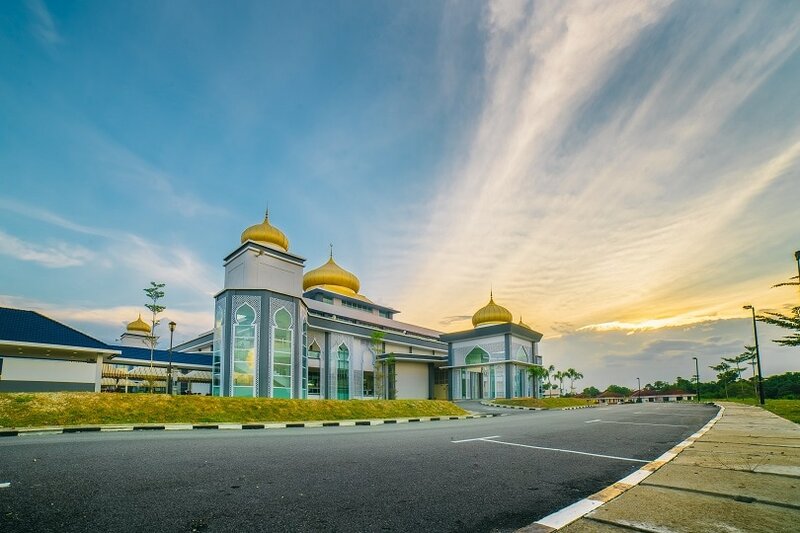 Many people choose to stay in Kuala Selangor (since it takes more than a day to enjoy all the attractions in the town) but you can also stay in KL for city comforts and conveniences. Sekinchan is called “the land of fish and rice”. Earlier it was only famous for its fishes because of Redang Beach being near but ever since the Malaysian government has announced rice as the staple food of Malaysia, Sekinchan has expanded on its rice fields. 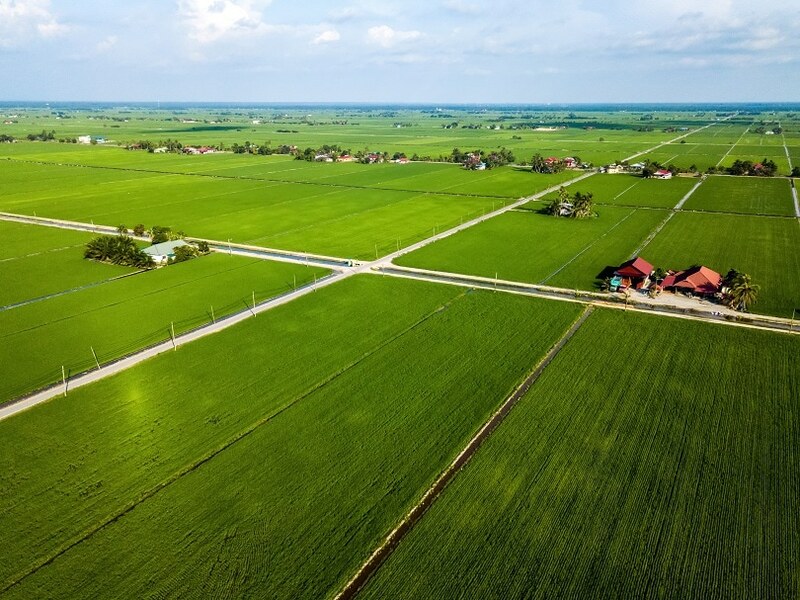 They grow multiple varieties of rice and have become the major rice producers of Malaysia. Activities and attractions: Paddy fields and the Paddy Processing Factory are major attractions. You can also visit the nearby Redang beach for a beautiful view and have snacks with coconut water. There is a temple nearby called the Nan Tien Temple. Another interesting place is the Wishing Tree, very close to the Redang beach, where people tie red ribbons around the tree. The tree looks red with all the ribbons and makes a great background for a picture. This tree is just near the Redang beach. Food: Since its called the land of rice and fishes, fresh seafood and items made of rice are a speciality. You can also eat fresh fruits from local markets and farms. There are restaurants that offer fresh fishes, crabs, mussels and oysters. Reach: It is a 2-hour ride from Kuala Lumpur. If you don’t wish to drive yourself then you can book day tours covering Kuala Selangor fireflies tour along with Sekinchan. Cameron Highlands is a hill station in Pahang at an elevation of 1829 m above sea level. This place has vast tea gardens and colourful blooms spread all over. It has massive British influence since it was founded by a British explorer Sir William Cameron after whom the hill is named. 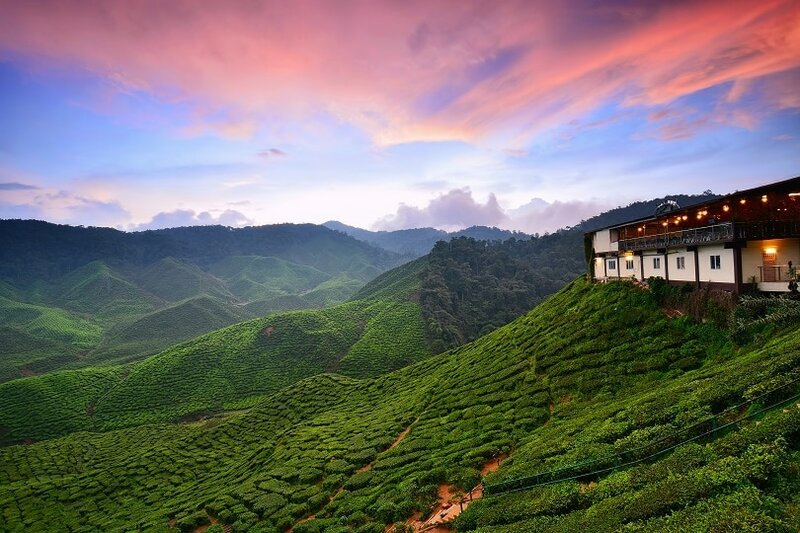 The temperature in Cameron highlands never exceeds more than 20 degrees which gives tourists another reason to consider this as one of the best weekend trips from KL. 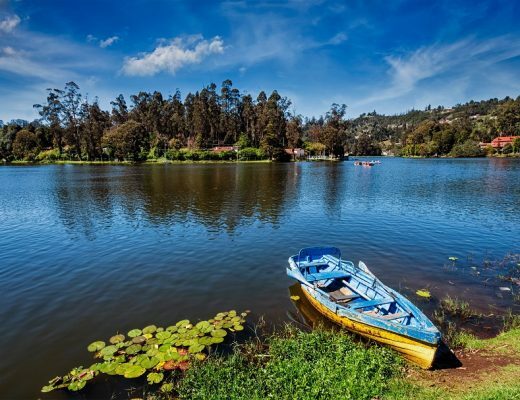 Activities and attractions: Visit the tea plantations here and pose for pictures as tea gardens form a great background. Hand pick strawberries at farms, hike through the Mossy forest and visit the butterfly farm. The rose centre is also a major attraction with an entry fee of just RM5. There is a cactus valley where you can see a variety of cacti and also one for yourself. Food: Tea with cream is the signature drink of Cameron Highlands. It is available almost everywhere you go. English breakfast consisting of poached eggs, toasts, pancakes croissants, jam and jelly and scones are commonly found at the famous restaurants. You can also enjoy the Malay and Chinese cuisine at some restaurants. Indian food like chapati and butter paneer is also available at Singh Chapati Urban Restaurant. Reach: Cameron Highlands can be reached by bus (RM35 per person), taxi (RM300 – RM400 one way) or by flight. It takes around 3 hours to reach there by road. Temerloh once used to be a town which only had old colonial buildings but is now rapidly growing. After the launch of East Coast Expressway, Temerloh has become the industrial and transport hub. Temerloh is a municipality and the second largest town in Pahang. Activities and attractions: Visit the Kuala Gandah Elephant Conservation Centre, home to rescued elephants. There is Deerland Park where you can not only see deer but also pat and feed them. There are other animals too like peacock, ostrich, frogs, snakes and wood ducks. Visit the Kuala Krau Wildlife to know about more wild animals. Also, have fun at Kubang Gajah waterpark at just RM10 for adults and RM8 for children. Food: Some of the famous dishes are Patin fish curry, Gulai fish in rubber tree fruit, Malay style grilled fish wrapped in banana leaf, Sweet pineapples, Nasi Kebuli (heritage dish made of chicken and rice), puddings, Durian cakes and desserts. Reach: Take East Coast Expressway or Karak Expressway from KL if you want to save time. These expressways also link Temerloh with other important destinations. Ipoh, a city in northwestern Malaysia, is a gateway to Cameron Highlands which makes it a great spot for a weekend trip. Like Cameron Highlands, Ipoh also has British influence on its infrastructure and food. Ipoh was once known as the “City of Millionaires” because of its location in the tin-bearing valley. Activities and attractions: Ipoh has some excellent cave temples, each telling its own story. The paintings inside the caves are a delight to watch. Kellie’s castle is an unfinished mansion with a unique history. The Guan Yin Temple, Birch Memorial Clock Tower, Ipoh Town Hall and Enlightened Heart Buddhist temple are other attractions of Ipoh. Another hidden secret is that Ipoh has natural hot springs where you can go and relax. Food: Ipoh has some of the best cafés in the world that offer proper English tea and snacks. Apart from cafés, it also has some places that serve authentic Malay food including curry noodles, chicken fry, Hainan chicken rice, bamboo biryani, dim sums and rice pudding. 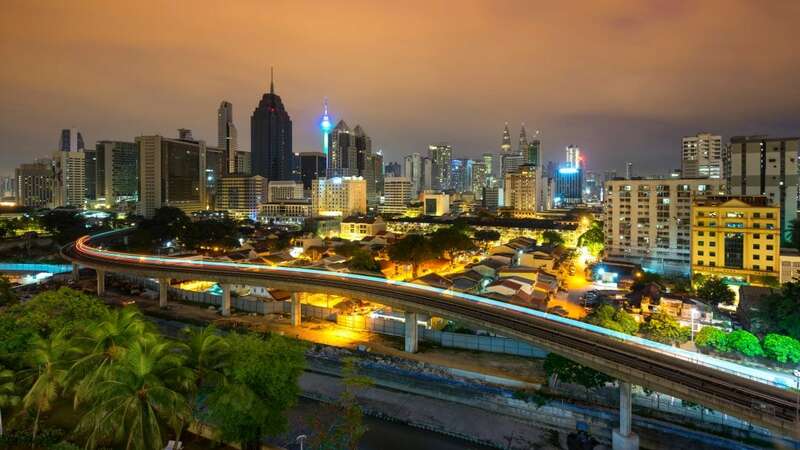 Reach: ETS (Electric Train Service) connects Ipoh to Kuala Lumpur. It takes about 2 and a half hours to reach Ipoh by train and costs RM25 for silver, RM35 for gold and RM46 for platinum. It is also advised to book the tickets beforehand. If you travel by road, it will take you the same time to reach. You can book the train tickets here. 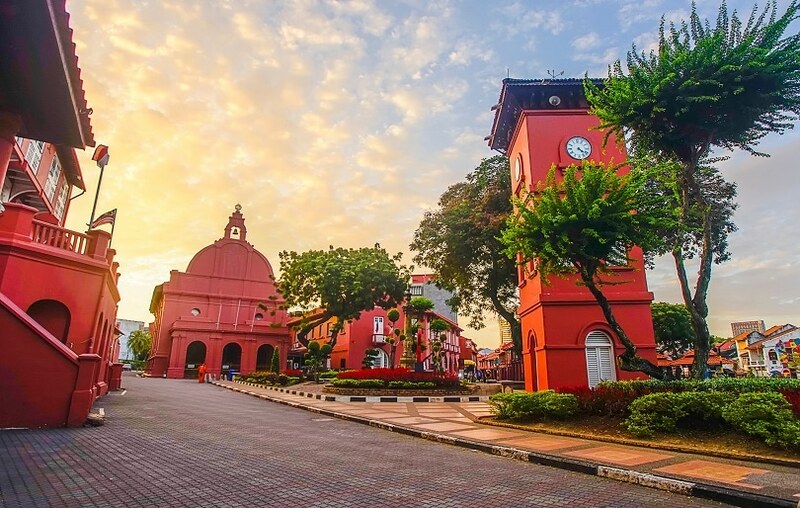 Malacca is known as the “historic city” of Malaysia. Its rich heritage culture and ancient buildings have attracted tourists from all over the world. It has an interest influence of Islamic, Indian and Chinese cultures. Malacca has been ruled by the Portuguese, the Dutch and the British before becoming independent. Apart from its historical sites, it is famous for its food and attractive monuments. Activities and attractions: The two best museums of Malacca are Baba Nyonya Heritage Museum and the Malacca Sultanate Palace Museum. If you are a history digger travelling in Malaysia, you can check out the 12 most famous historical places in Malaysia. Food: Malacca offers you a wide range of delicacies to choose from. Satay with peanut sauce, half plate chicken with rice balls, oyster omelette, pork chops, dimsums, noodle soup and desserts like pancakes, cheesecakes, scones and special coffee (13 different style of coffee) rule the food platter. Reach: Malacca is a 2-hour drive from Kuala Lumpur via North-South expressway. Buses are also available which run on a half-hourly basis to Malacca. These were some of the best weekend getaways from Kuala Lumpur that you must explore to go beyond the regular tourist scene. If you are interested in more KL Short trips, you can visit Putrajaya, Fraser’s Hill, Singapore, Pulau Ketam (Crab Island), Port Dickson, Genting Highlands, Batu Caves, Bukit Lalang, Janda Baik, Bukit Tinggi, Penang Island, Langkawi Island, Cherating Beach and George Town. 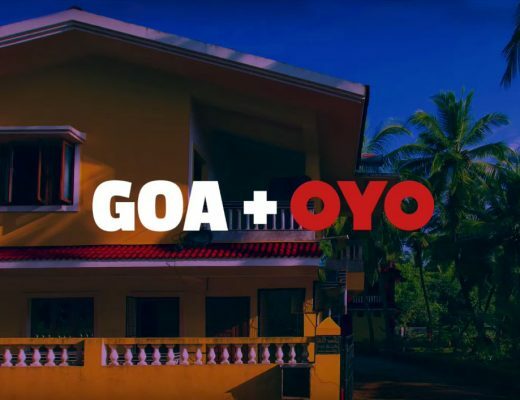 Goa is an OYO city!